Smart Animal Training Systems(maker of Pet Tutor®) is committed to supporting positive training using advanced smart technology. Pet technology is creating entirely new ways of positive training that reduce training time and can help trainers get better owner compliance. Technology is also able to address situations that have been almost impossible for positive training before such as barking when no one is present. We will also present how our system can work with smartphones and other apps. 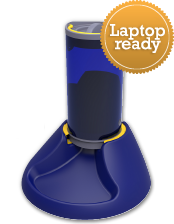 Create new smart games to provide more enrichment that will blow your dog's mind! Wes Anderson: Electrical engineer and dog trainer. Worked with services dogs and pet dogs for 14 years. 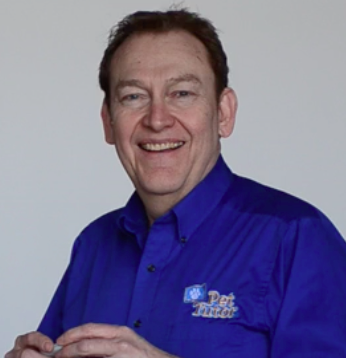 Inventor of the patented Pet Tutor® system. Attended the Bob Bailey Chicken Camps, ClickerExpos,APDT and taken numerous workshops from positive trainers. Member APDT. Amanda Hessel: Volunteer in service dog training program. Marketing and Sales in the medical and pet industries. Attended ClickerExpos,APDT. Member of Women In The Pet Industry. Jennifer Cattet, PhD : Director of prison based service dog training program, owner of Medical Mutts medical alert dog training program. Book author and blogger. How to incorporate technology in dealing with separation anxiety, a very difficult, but treatable behavior issue. This often requires the pet parent to enlist the help of a professional but part of the protocol can require reinforcing the dog when the owner is out of sight. Examples of how to weave this into a program for separation anxiety will be discussed. New games to reduce boredom and anxiety in the crate or X-pen. Part of the cause for many behavior issues is simply boredom. Stuffed toys can help, but a way to engage more mental and physical activity while in a pen will be demonstrated. Wes Anderson is the founder of Smart Animal Training Systems, LLC and the inventor and patent holder on the Pet Tutor® system for training and enrichment. He holds degrees in electrical engineering and statistics and has been involved in neuroscience research for many years. His passion for positive reinforcement methods developed over 14 years in the study of animal training and behavior modification. He has worked as a volunteer with a prison based service dog program where he became known for working with the “challenging” behavior cases. In addition, he has taught pet dog classes for several years specializing in aggression cases. His education with animal training has included workshops, videos and books by positive trainers such as Ken Ramirez, Ken McCort, Kathy Sdao, Chirag Patel, Malena DeMartini-Price, and Kay Laurence. However, it was during the famous Bob Bailey Chicken Workshops that the spark for the idea of using advanced technology in positive training was born. Bailey had explained how Animal Behavior Enterprises used a variety of over 500 automated feeders to increase trainer productivity and address difficult training scenarios. This idea led to the concept that the application of smart technology to training could bring more powerful tools and improve training productivity to the positive training world. Anderson’s company's mission is to create a new family of innovative positive reinforcement products. The mission is “smart technology for positive training” with a vision of making obsolete other technologies designed for punishment. These products provide pet parents and trainers new, dynamic ways of addressing behavioral issues, novel ways to positively reinforce training and creating mentally stimulating games. 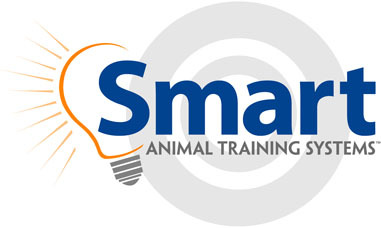 Smart Animal Training Systems is a Pet Professional Guild corporate sponsor.